Here we are in the month of August. I bet you are getting a bunch of out of office replies when you call or send an email looking for an appointment. It can certainly be frustrating when you are hustling to grow your small business. 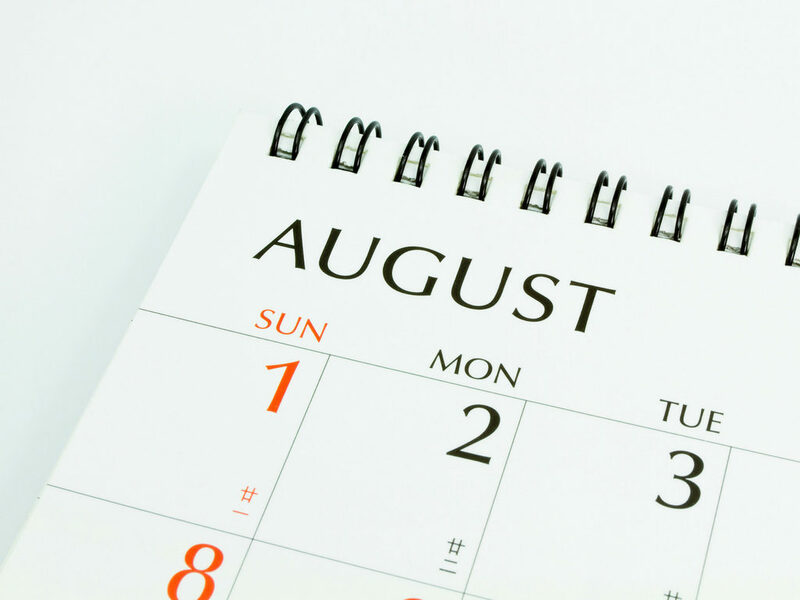 So what makes August such a difficult month to do business? August is vacation month. It just is. People are trying to squeeze out that last little bit of summer by getting away and soaking up some sun. August is “back to school” month. Schools are opening and with over 40% of U.S. households having children this is a big deal that will impact people’s ability to focus on business. August is the “unofficial” end of summer and it takes time to shift into a fall routine. Let’s face it summer is more casual that any other time of year. The days are longer, weather is warmer and the kids are out of school. A summer mindset has been in place for a few months and people are trying to hold on to that mindset as long as possible. August is a review and reset month for many businesses. Some businesses use August to review year to date performance and create an updated plan for the last four months of the year. Set the stage for your business to come out hot in September: Look at your business performance and update your plan for the rest of the year. There will be things that are impacting your business that you might have missed as you have been pushing hard. The whole “can’t see the forest for the trees” thing. By taking some planning time, roadblocks will become apparent and can be corrected. Increase your efforts in August: While a lot of people are off there are still a lot of people who aren’t. Increase your efforts. Make more calls and send more emails. Just because they don’t answer today doesn’t mean they won’t answer next week. Take some time off yourself to renew your energy: Take a little R & R yourself. Do something fun and relaxing that will allow you to renew your energy. September though December are very big months for small businesses and you want to make sure you are ready to put in max effort to reach your business goals.